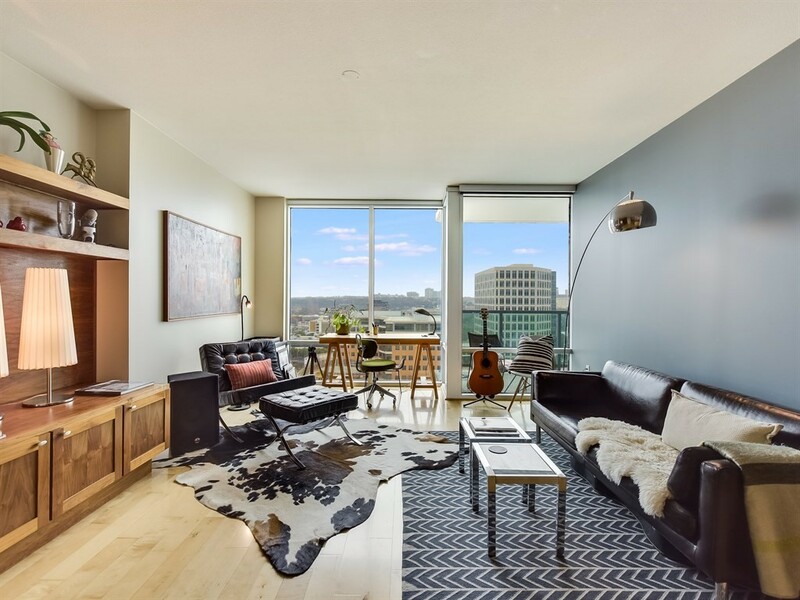 Fantastic 1 bed/1 bath w/floor to ceiling windows & wood floors, custom walnut entertainment w/hanging bike storage. Master suite includes large windows w/blackout shade, recent carpet & custom closet. Enjoy downtown views from the private covered balcony. Walk to Lady Bird Lake, Whole Foods, Trader Joe’s, & more! Only pay electric! Amenities incl. pool, gym, lounge, 24-hour concierge & garage security. 1 reserved parking space, W/D/Fridge Included! Another great home for rent in downtown Austin, Texas.